Have you ever noticed why blogger or wordpress or any other blogging platform have added a 'Next Page' button or you ever noticed that why facebook directly won't shows all the posts as well as twitter won't load the tweets ? The reason is: while loading tweets or loading status or articles from database developers loop over the database again and again and if their are many thousands or hundreds of status, tweets etc.. than the page get slow/crashes. 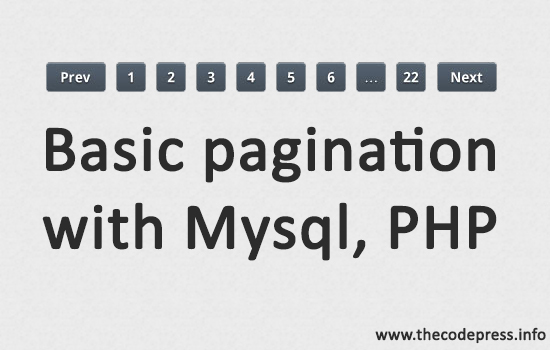 That's the reason why they use pagination. By the way facebook and twitter loads their feed using Ajax. PHP: Connecting to mysql database. After connecting let's move on adding tables and columns. First we'll create a table called 'page' and then we'll create column which name will be 'data' just for example i'm adding this names. 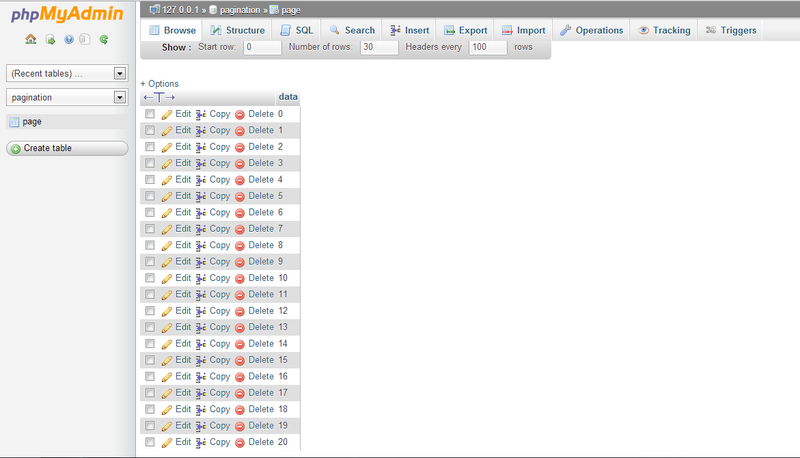 You can even use PHPmyadmin (PMA) to make tables columns. Also i have added numbers from 1-20. Refer below image to understand it properly. Let's begin with PHP code blocks! It just looks hard but it's not hard, just need to do the subtract and divide part properly and the it's done. yet...i don't have a hosting....finding a solution for demo...will be back with a solution. plz.. give me details of this code..!